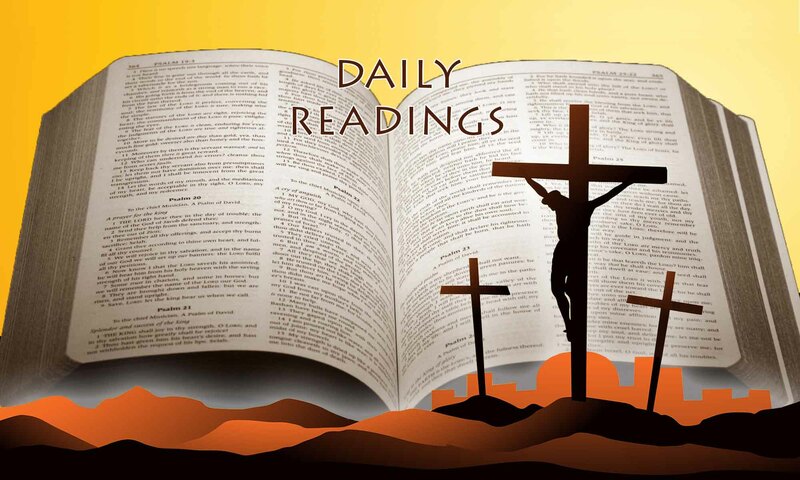 Liturgical Calendar Year C Weekday Cycle 1 Sunday, April 21, Easter Sunday, Resurrection of the Lord Acts 10:34, 37-43, Psalm 118:1-2, 16-17, 22-23, Colossians 3:1-4 or 1 Corinthians 5:6-8, John 20:1-9 or Luke 24:1-12... The post Mass Readings: 21 April – 28 April, 2019 appeared first on The Southern Cross. No related posts.